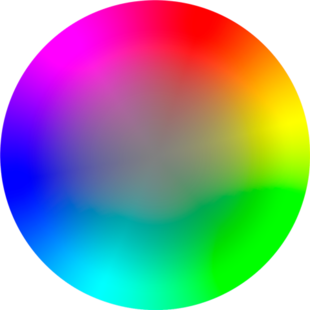 color is part of the Basic English 850.
color is one of the 1000 most common headwords. Red, blue and green lights mixed make lighter colors. Cyan, yellow and magenta paints mixed make darker colors. The image caused by light in your eyes, due to light of various wavelengths hitting your retina. To give something its color. Rose colored the drawing with a pencil. This page was last edited on 1 February 2018, at 03:46.